The overall aim of this one-year honours degree programme is to facilitate the development of an occupational therapy graduate who is reflective, has the ability to critically evaluate their practice, and provide client-centred, occupation-focused interventions. The course content has been designed in consultation with both occupational therapy practitioners and academics in Singapore to reflect current and developing areas of occupational therapy practice, and future developments in the Healthcare system of Singapore. Four modules will be delivered during the one-year programme: Advanced Occupational Therapy Theory, Advanced Occupational Therapy Practice, Context and Delivery of Practice and Healthcare Development and Delivery. All four modules will focus on occupational therapy theories and interventions in the practice areas of Primary Care, Mental Health, Older Adults and Cognitive Rehabilitation that can be applied across the lifespan. The learning approaches in the programme will be active and student-centred. Enquiry and problem-based learning will be used to facilitate development of critical thinking and self-directed learning skills. Estimated costs are dependent on prevailing currency exchange rates and flight ticket prices. This module is for students to acquire an in-depth knowledge of occupational therapy theories which underpin professional practice. By the end of this module, students will be able to discuss and critique the role of occupational therapy theory both in research and practice as well as discuss the impact of this unique body of knowledge on the profession's development. Students will review different levels of theory, their relationship to each other and how they are applied within occupational therapy practice. Students will be expected to apply different levels of theory to their experiences from their fieldwork placements. They will also be expected to evaluate the application of theory to their own professional practice during their practice education. This module will form foundational knowledge for the Advanced Practice module in that knowledge developed in relation to occupational therapy theory and clinical reasoning will be used to examine current practice in the four practice areas of Primary care, Mental Health, Older Adults and Cognitive Rehabilitation. Knowledge from this module will also be applied to the service development proposals developed by students in the Advanced Practice module. The Advanced Practice module will focus on current and evidence-based occupational therapy practice in the four areas of: Primary Care, Mental Health, Older Adults and Cognitive Rehabilitation. It will run parallel to the Advanced Occupational Therapy Theory Module and students will be expected to integrate knowledge from that module to ensure the application of occupational therapy theory into these four practice areas. The overall aim of the module is to allow students the opportunity to integrate their learning from both modules completed in Semester One. This module will allow students to reflect on practice both in Singapore and in Ireland, and consider how the context of practice (culture, legislation, professional development and identity) impacts on current practice and influences future practice developments. Students will have the opportunity to observe occupational therapy practice within the Irish context and will be able to draw on similarities and differences between practices in both countries. 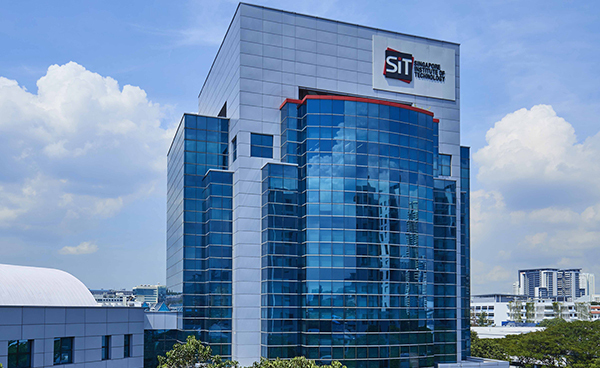 Through facilitated clinical visits, guest lectures, and peer-learning opportunities with the final year undergraduate Occupational Therapy students at Trinity College, the students will consolidate their knowledge and debate potential future directions and developments of occupational therapy practice within the Singapore context of practice. Through active participation in all aspects of this module, students will be able to consider how their new learning may influence their future practice as occupational therapists. This module takes place when students return from their Overseas Immersion Programme at TCD. In this module students are expected to integrate and consolidate their learning from the previous three modules of Occupational Therapy Theory, the Advanced Practice modules and their overseas module in TCD. During their time in Dublin they will have had an opportunity to visit practice sites particularly in the areas of Primary Care, Mental health, Older Adults and Cognitive Rehabilitation, and will have had lectures from clinical specialist occupational therapists practicing in these four areas. They will therefore be expected to use these practice-specific experiences to plan suitable occupational therapy services in these four areas, in Singapore, through detailed service-delivery proposals. Service proposals must be based on current occupational therapy theory, reflect current and evidence-based occupational therapy practice and fit within the local context of health policy and healthcare delivery in Singapore.